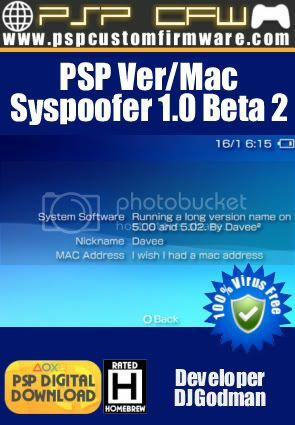 PSP Ver/Mac Syspoofer 1.0 Beta 2 will let you spoof your PSP firmware or Mac Address in your PSP System properties. 1)First Do A BackUp At Your Seplugins For Safe!! !